Always searching for new and interesting materials for hand-held invitations, Christine discovered this sturdy and flexible neoprene at Canal Rubber in Chinatown, NYC. Purchased in bulk rolls, then cut up and silk-screened, it became a conversation piece and played well with the visual sensibility of the artist. 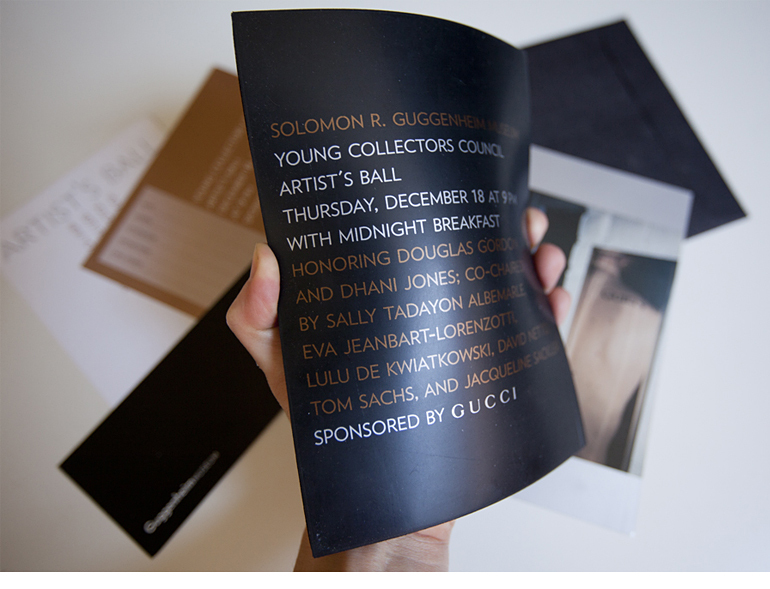 Deliverables include overall identity and design of invitation package.